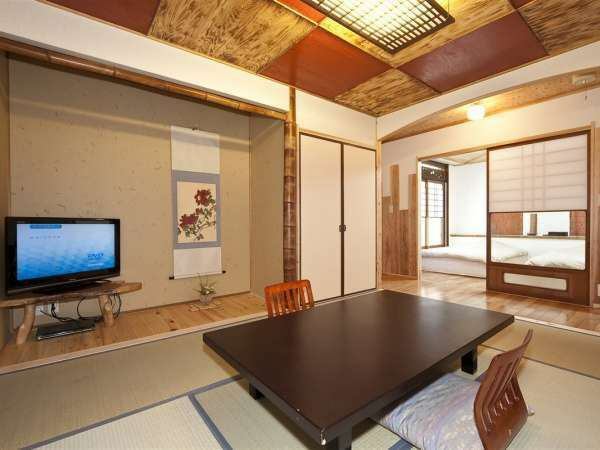 Rooms are Japanese style, or Japanese + Western style.Inside the facility you will be able to enjoy lounges, separate bathrooms for men and women, a banquet hall and couple to group trips. 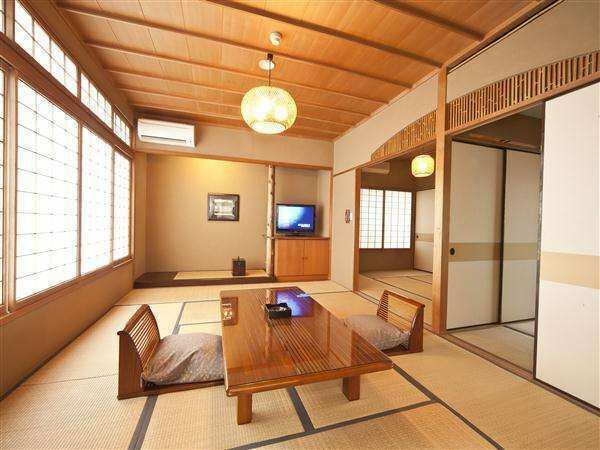 【Japanese-Western style room】Japanese bath with Japanese hot tub + Western style "Tsurumi"
Hinoki built inside hot bath (hot spring) Japanese room + 2 beds in the bedroom, spacious 28 m² building. 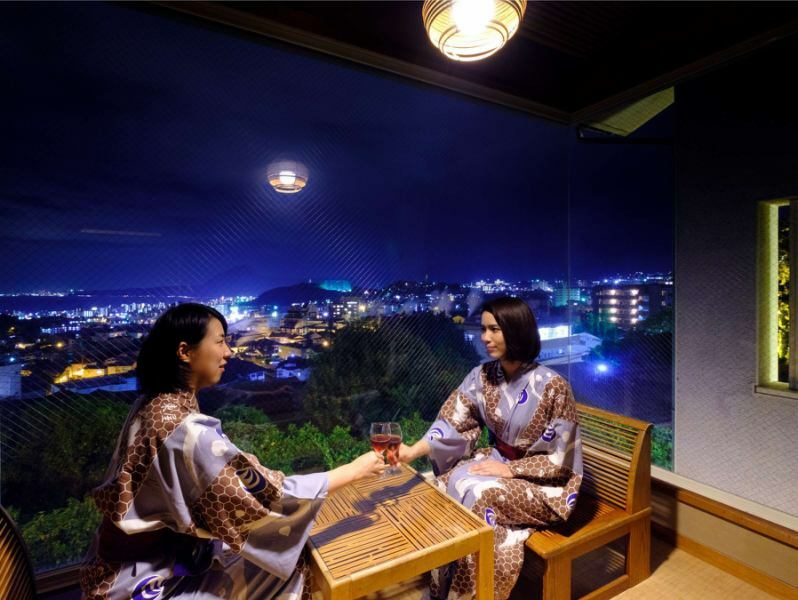 How about having a meal in the room while watching the night view? Please spend a special night.We can also accept room plan. 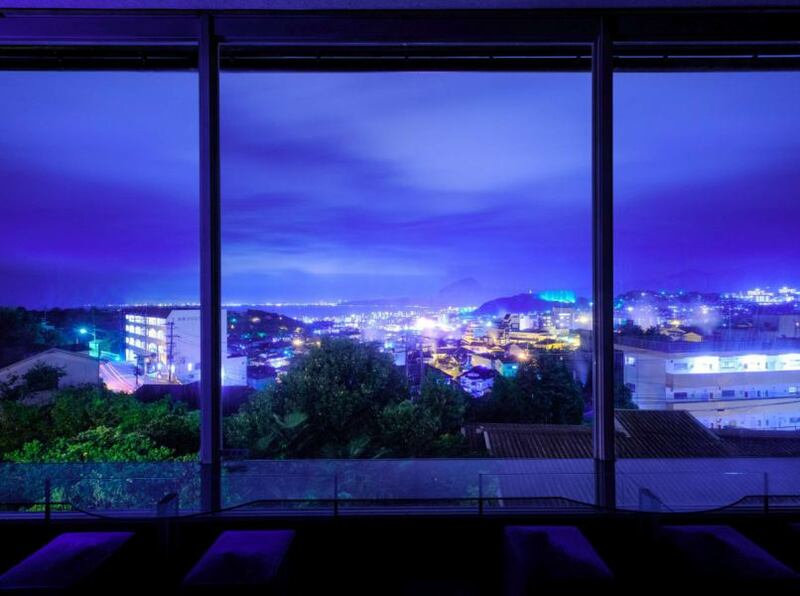 Night view is beautiful lounge.In the daytime you can see the hot spring water well from the lounge. 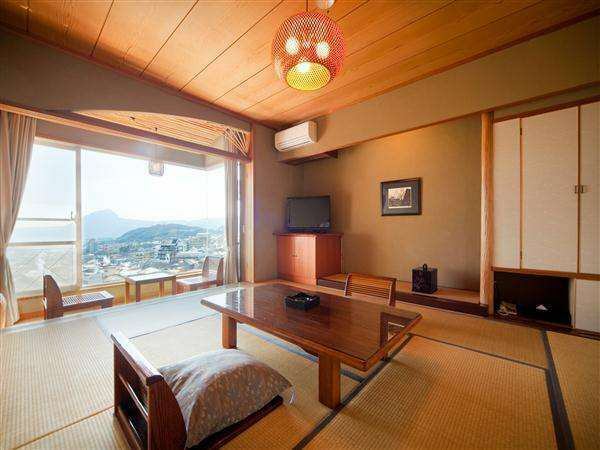 ·In addition to ordinary dryer, we have a kurukuru dryer in the room.